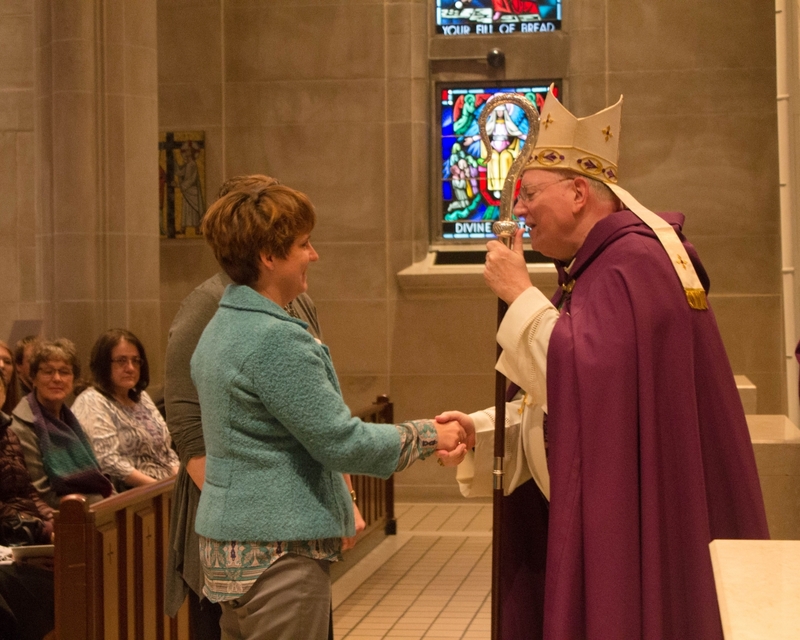 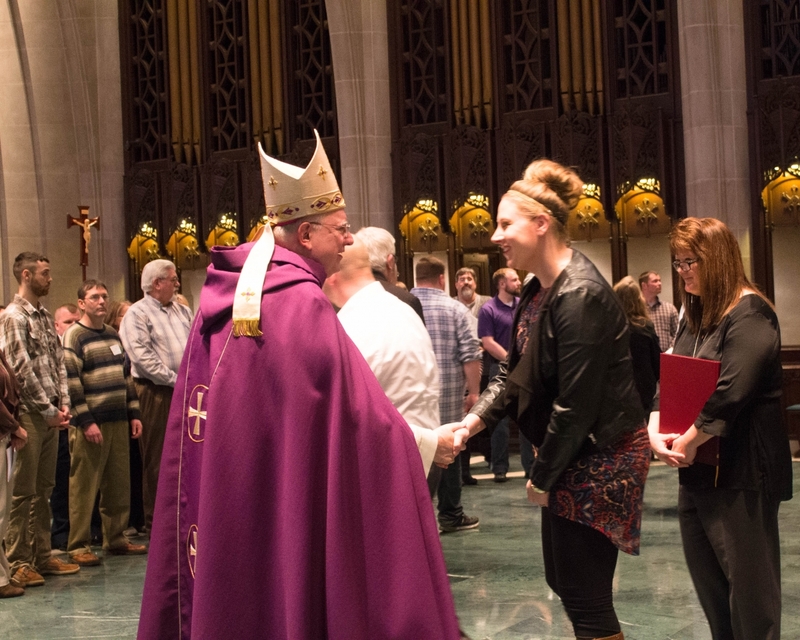 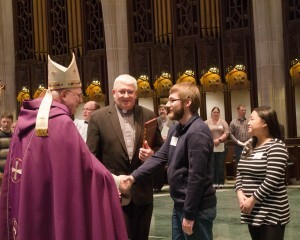 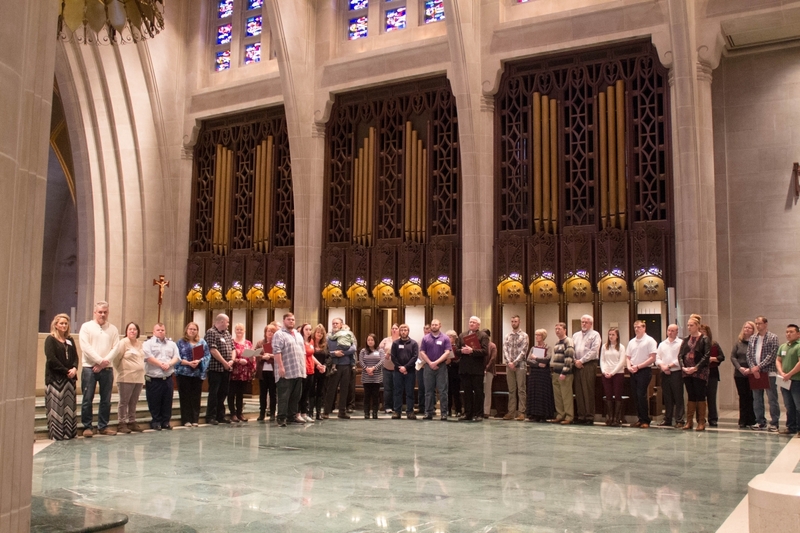 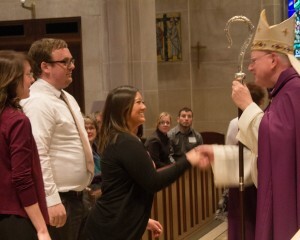 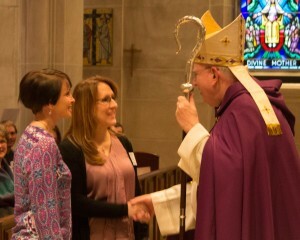 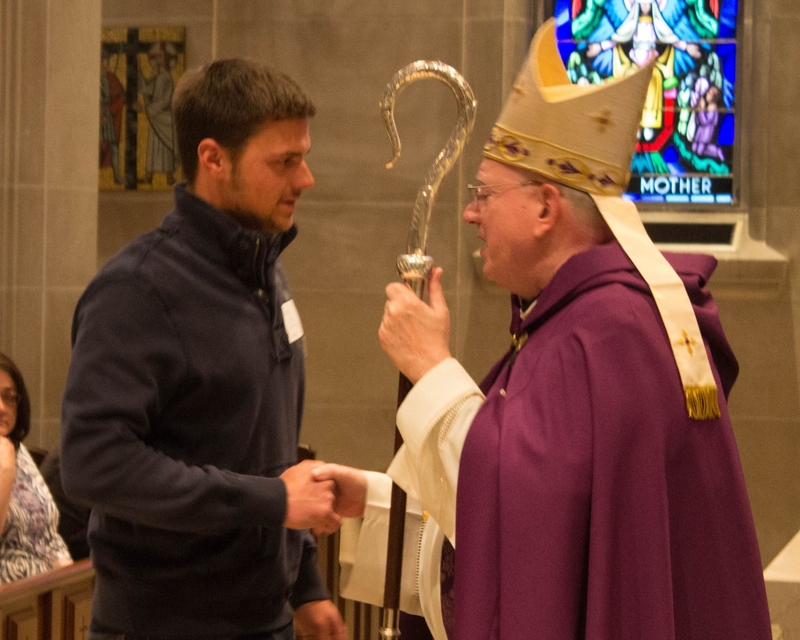 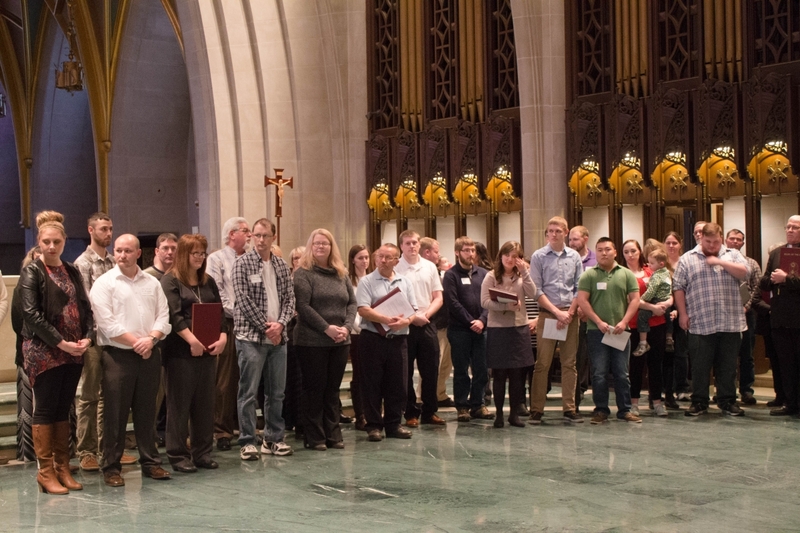 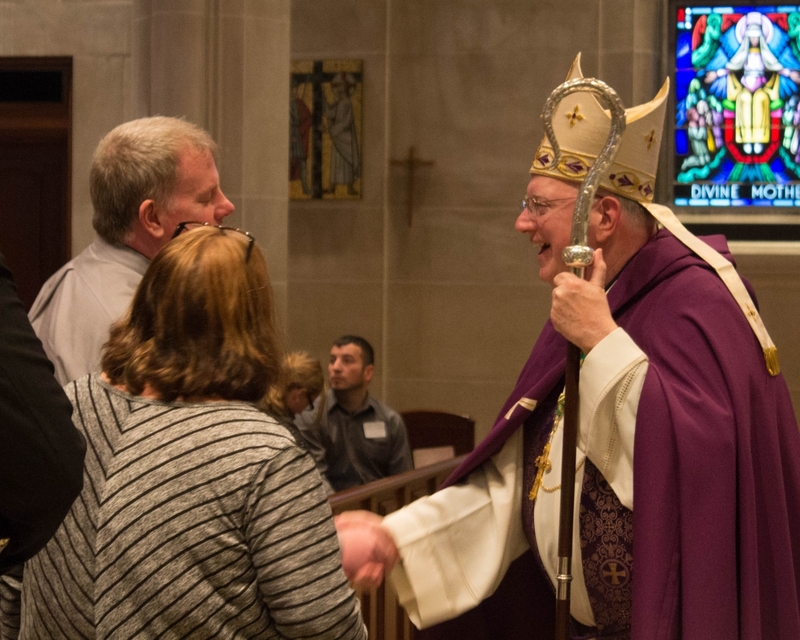 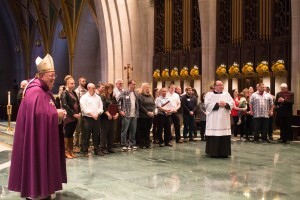 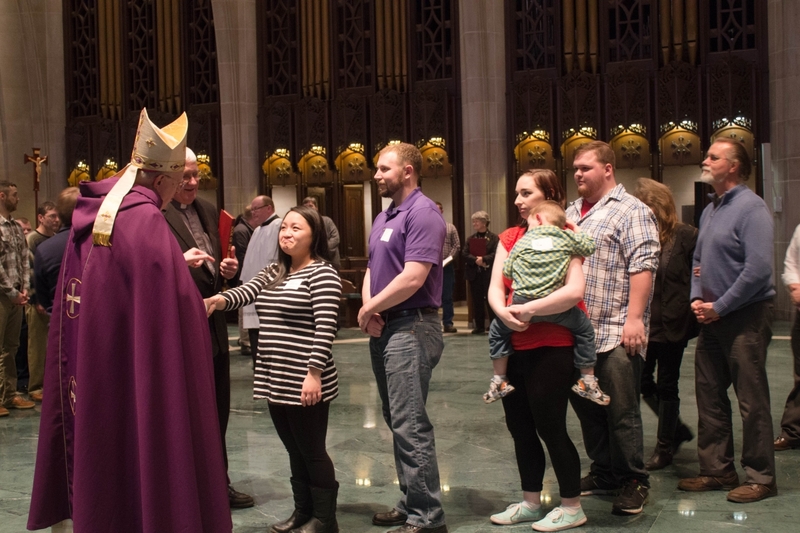 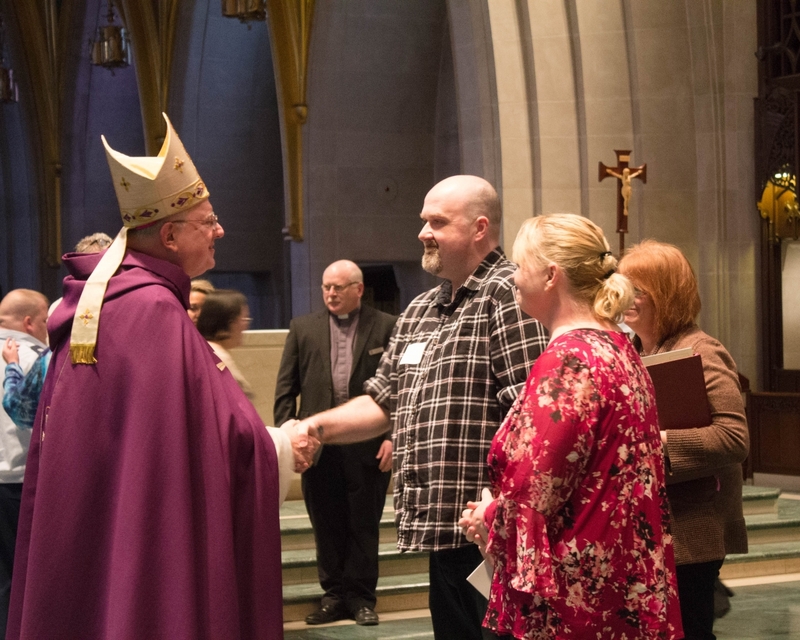 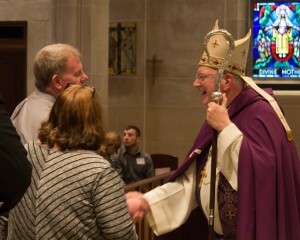 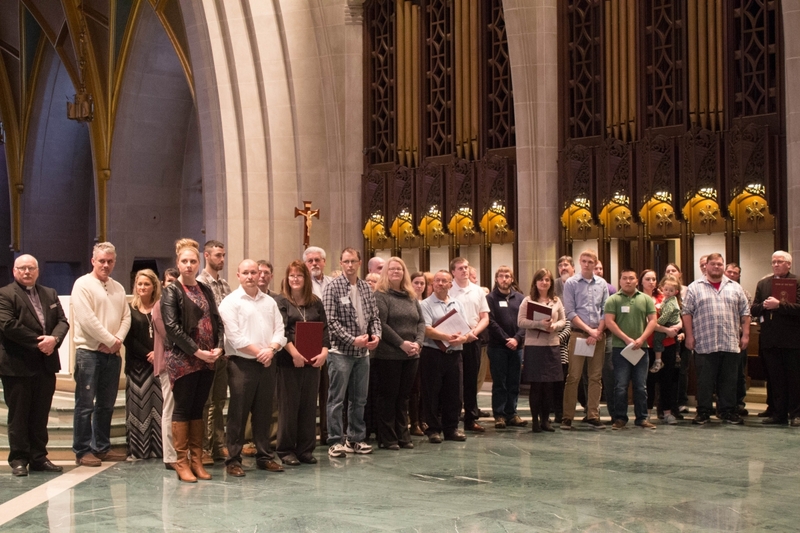 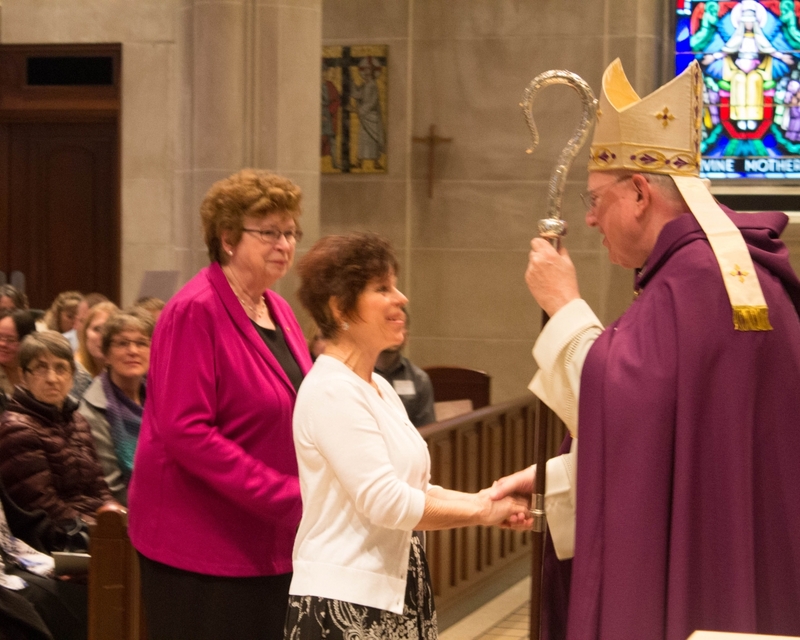 Bishop William Patrick Callahan welcomed 17 catechumens and 67 candidates, from across the diocese, March 5, 2017 at St. Joseph the Workman Cathedral in La Crosse. 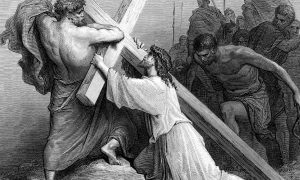 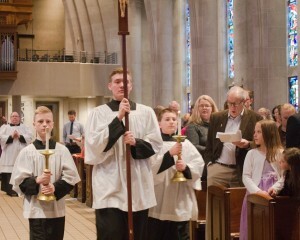 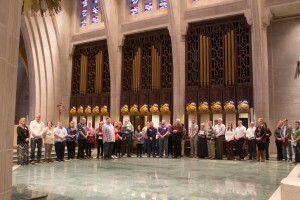 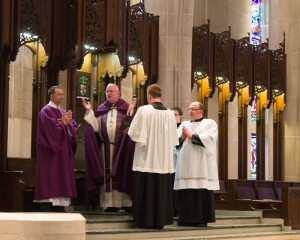 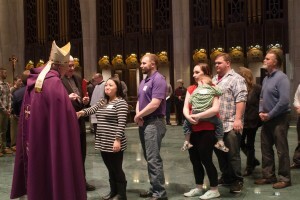 The Rite is held each year on the first Sunday of Lent and is the last major rite the catechumens or candidates will receive before entering the Church during the Easter Vigil or, for some candidates, the Easter Season. 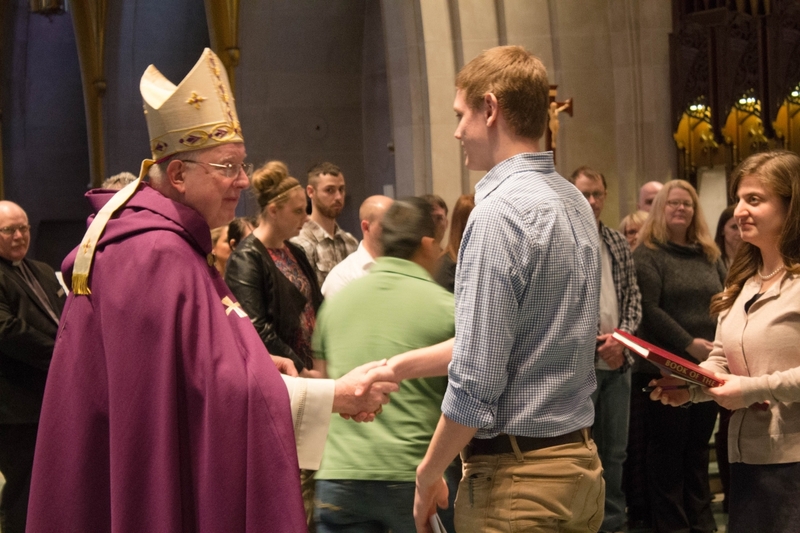 It is an opportunity for Bishop Callahan to welcome those who have gone through the RCIA process and now wish to join the Church. 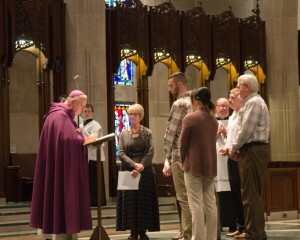 During the Rite of Election and Call to Continuing Conversion, parishes present the catechumens and candidates to the bishop and the congregation. 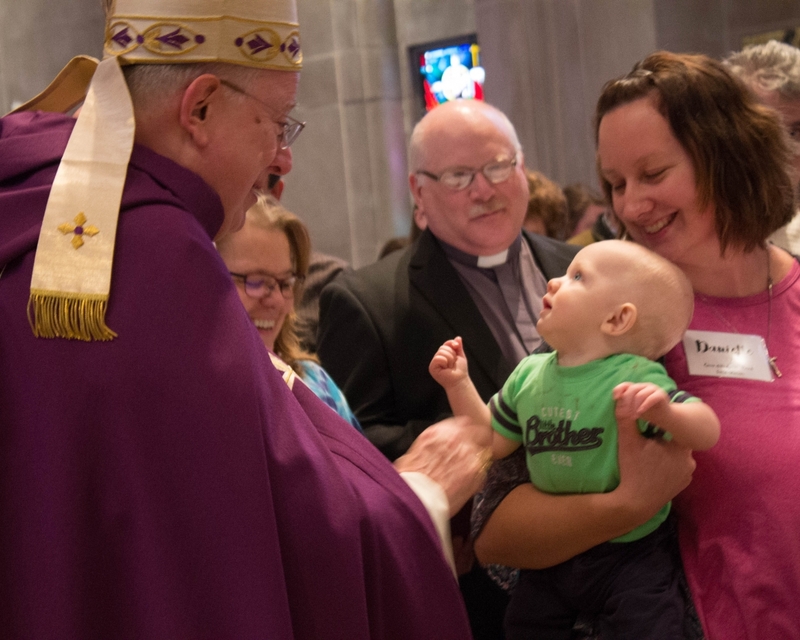 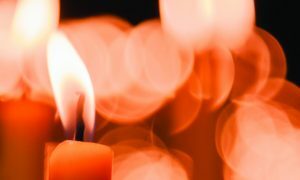 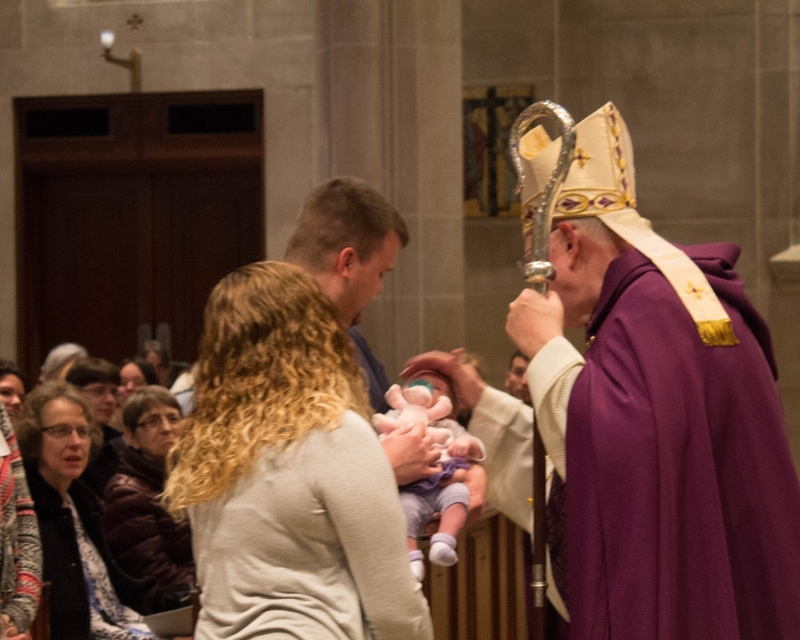 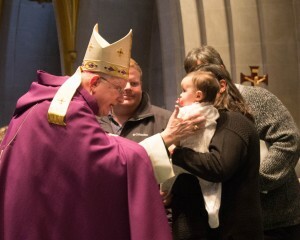 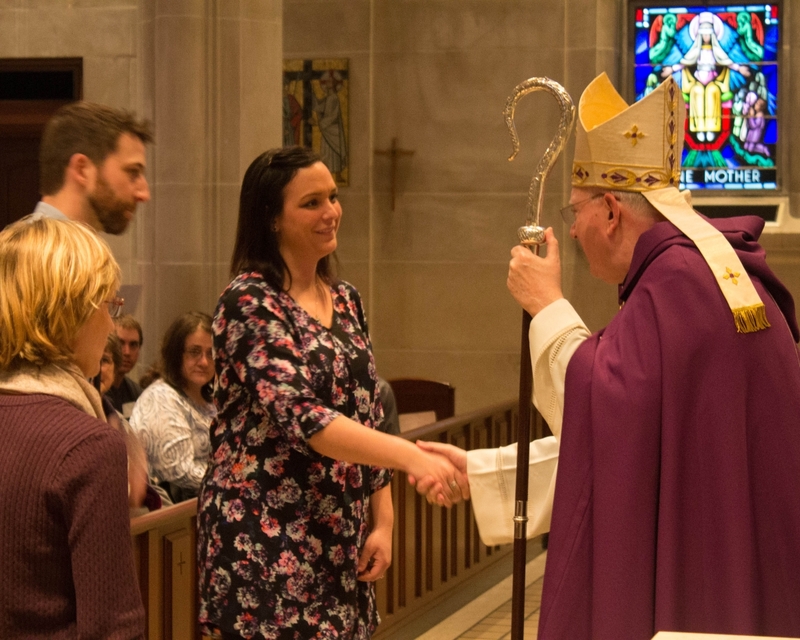 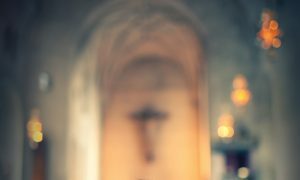 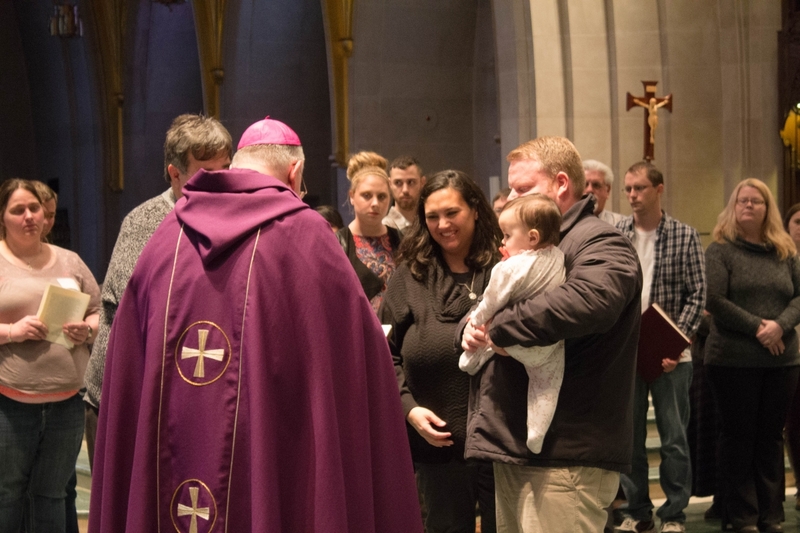 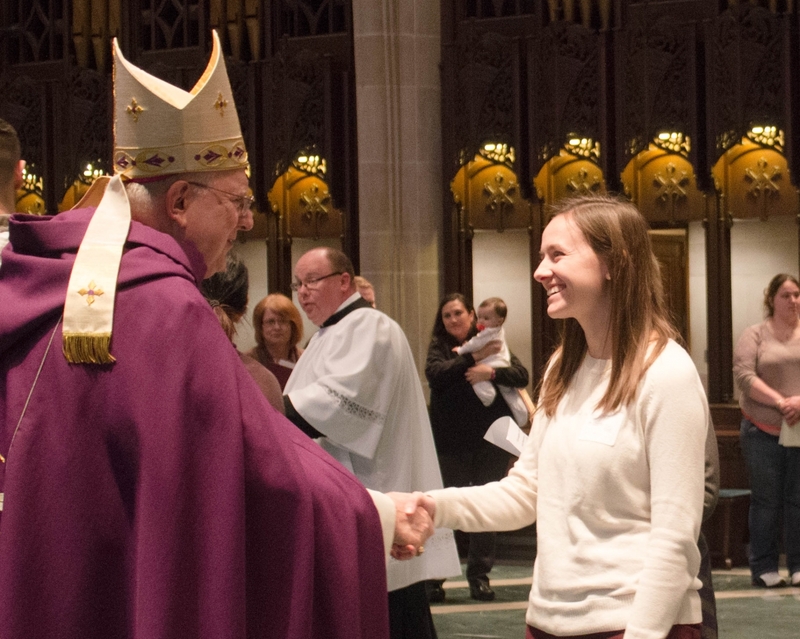 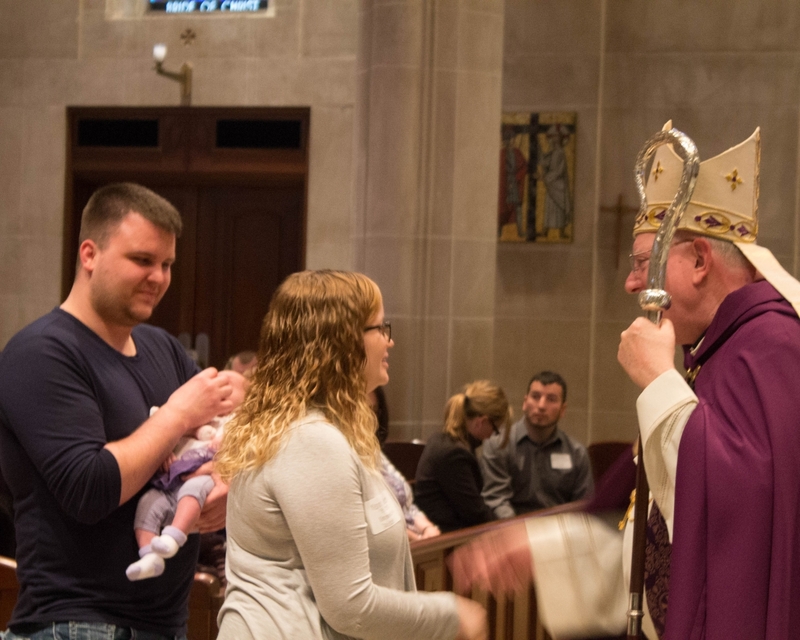 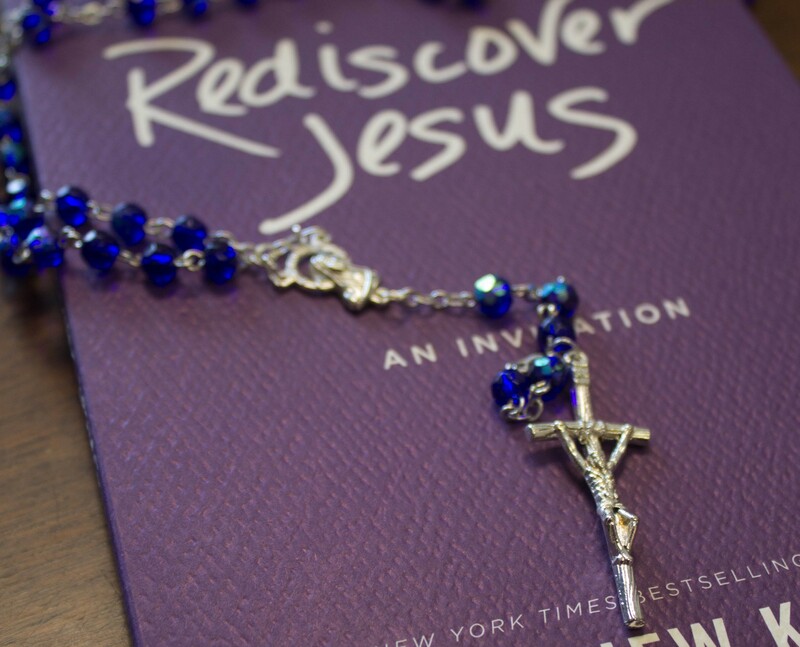 Godparents and sponsors are asked by the bishop to affirm that those in preparation are sufficiently ready to continue their faith formation, and the catechumens and candidates affirm their desire to fully enter into the life of the Church. 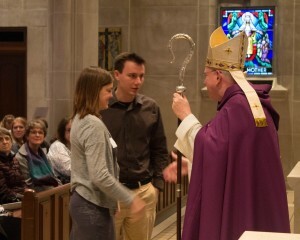 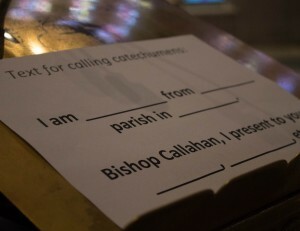 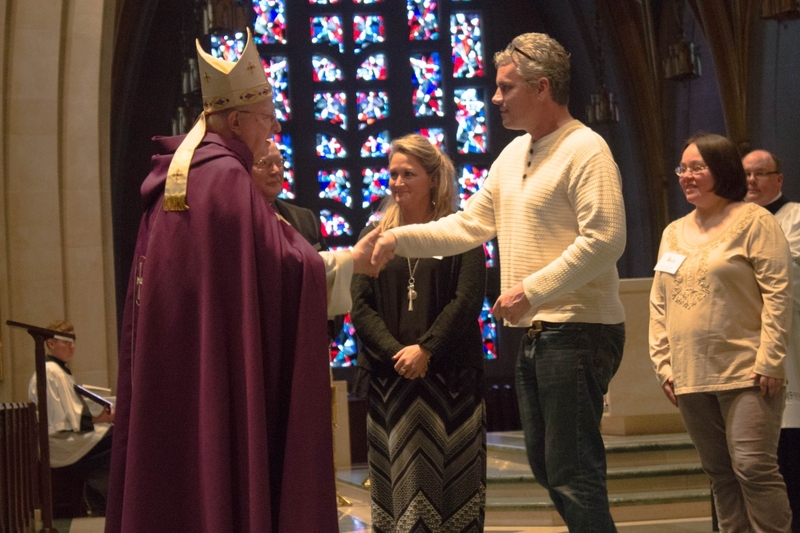 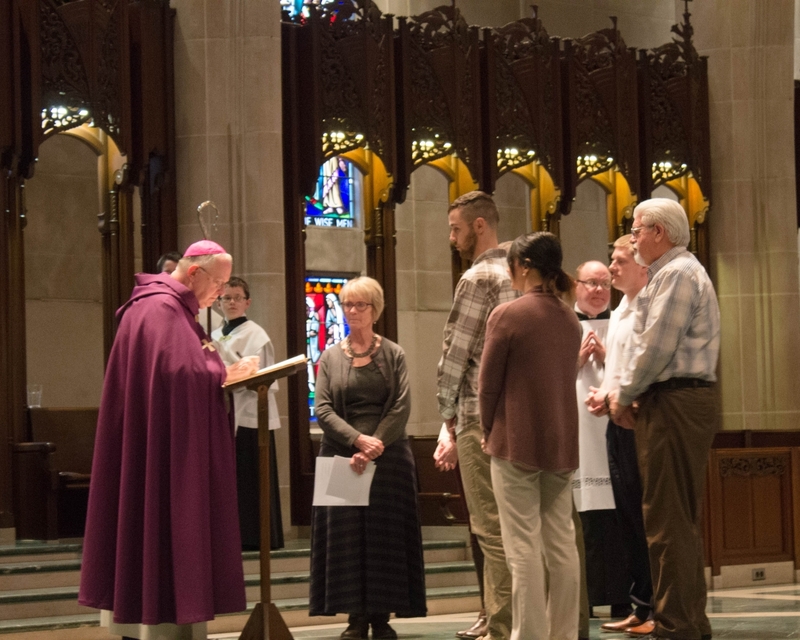 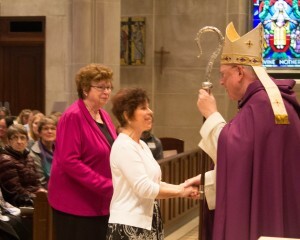 The catechumens’ names are entered into the Book of the Elect, which the bishop signs during the Rite of Election, signifying that the catechumens are now members of the Order of the Elect. 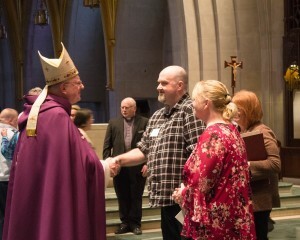 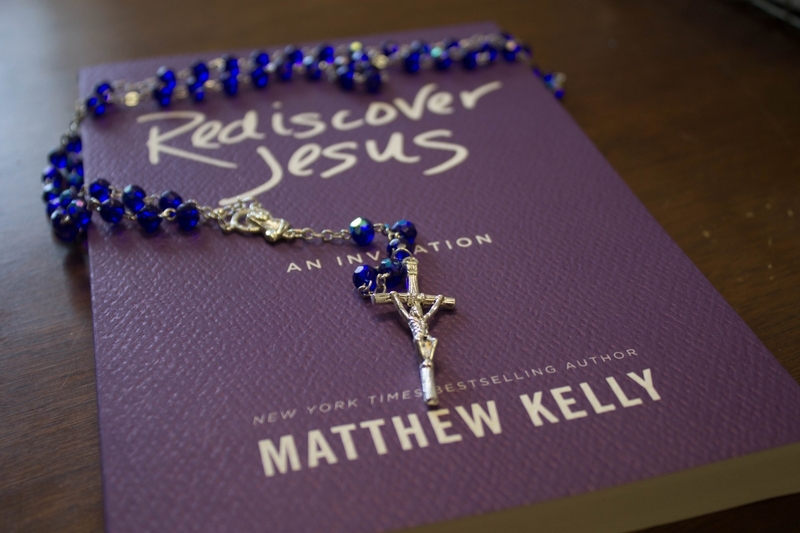 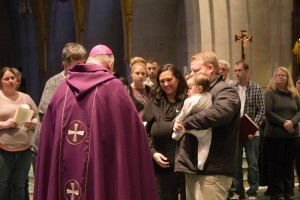 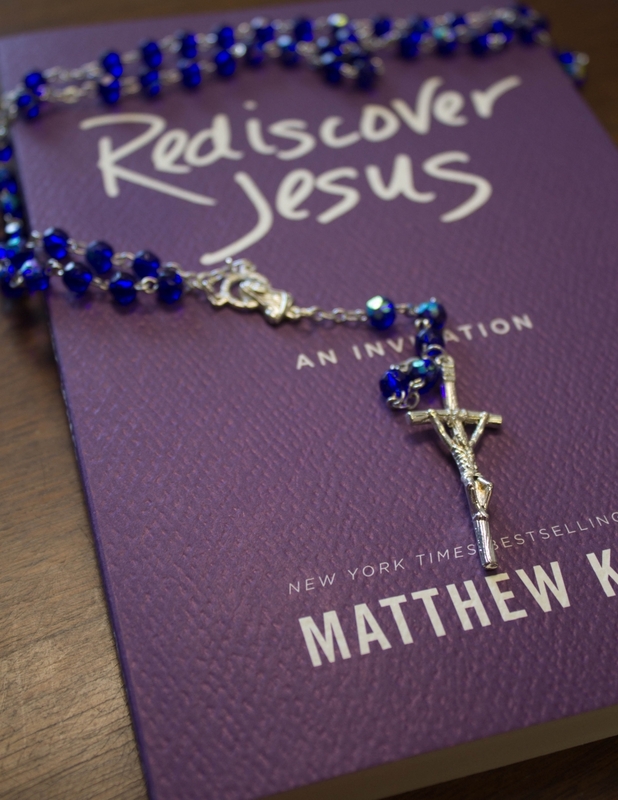 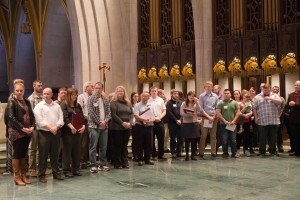 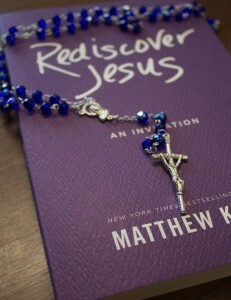 Catechumens are unbaptized individuals who seek to be baptized, confirmed and receive first Communion for full communion with in the Church, while candidates are baptized individuals who wish to receive the sacraments of confirmation and first Communion and enter fully into the life of the Church.